When one listens to a music track, one is often transported to images from the music video or perhaps the vinyl album cover design. Introduced by Columbia in 1948, the Long Playing (LP) record or Vinyl, as it is now known, was soon adopted as a new standard by the entire record industry. Apart from a few relatively minor refinements, it has remained the standard format for vinyl albums. After the Compact Disc (CD) boom in 1983 and then its relative demise, the Vinyl has seen a return, made popular by Club DJs in the late 1990’s. Over the years Graphic Designers have relished in this beautifully large format. 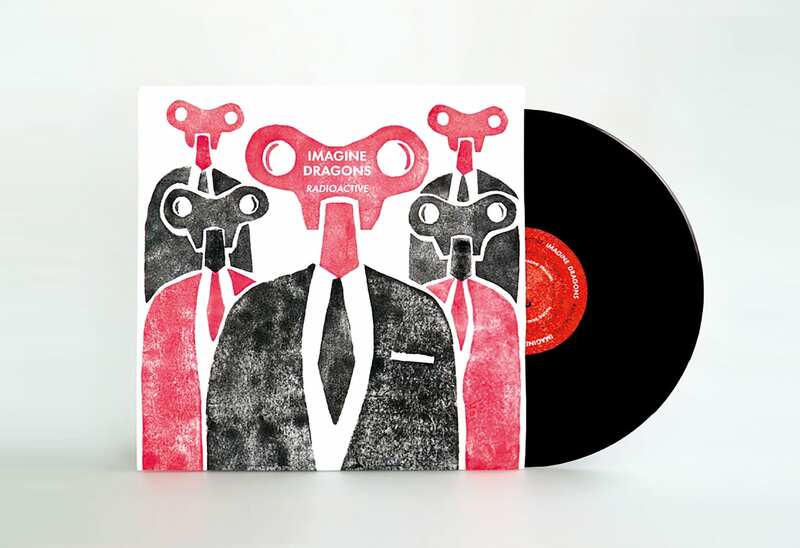 More recently designers such as Stefan Sagmeister have produced some wonderful Vinyl and CD covers. Other noteworthy cover designers include Barney Bubbles; Peter Saville; Alex Steinweiss; Jamie Reid and Storm Thorgersun. These days it is almost a given that a music video will follow the composition of a music track and album cover. Avid music lovers will, at some point in their lives, be drawn to acquire an artists’ album based on the promotion value of a music video or album cover design, particularly if the cover or video has been crafted to resonate with its audience. This was the thinking around the Year 2 Graphic Design Heart Music Art Project where students were required to connect their interpretation of a chosen track with the predisposition an audience. The task was for each student to investigate and to gain a deep understanding of the music industry and its various design related functions. Each student was required to select a sound byte (track containing music and vocals) no longer than 60 seconds. This then needed to be transcribed and analysed for two key themes. These themes then formed the basis for an album cover design and potentially a storyboard and music video. The latter was produced by a group of students who selected the best album cover and track). Some fabulous results ensued, which embraced the focus on the technical aspects of album cover construction; semiotics; visual hybridity; metaphor; storyboarding; stop frame animation and its integration with video making and editing.